It is a subtle energy that can be harnessed to produce healing energy. Scalar Energy has existed since the beginning of time. Its existence was first proposed in a series of 4 equations by renown Mathematician James Clark Maxwell in the mid 1800′s. Scalar Energy Technology is related to Quantum Mechanics. Every living thing has a cell as its base element. A cell is composed of molecules which is composed of atoms. In these atoms, a small particle called “quantum” is generating waves. Hence the basic unit of all living things is a “quantum wave”. All matter on earth is comprised of atoms. In each atom, we have electrons (-) and protons (+). They are in a state of attracting and repulsing each other which causes vibration. It is this vibration that creates energy. The principle of Scalar Energy Technology is based on the fact that all matter has its own atoms. These atoms have their own energy (wave) pattern and its own vibrating frequency. Our human body also has its own energy pattern. Each cell of the body has its own vibration frequency and energy form. In the principles of Scalar Energy Technology, this energy from the human body is described as the third form of energy – “Subtle Energy” instead of the usual electricity or magnetism energy. Our DNA is luminous which means it has voltage. It also has different colours which in turn means it has frequency. Our DNA in cells sends and receives “high coherence” vibration and “chi” which is used to control the interaction of cells. This is how our white blood cells can search for pathogenic microbes and also direct the flow of nutrient or waste in our blood and lymph. All these organic processes are controlled by the atom’s colour signal (vibration or frequency) of each cell. All matter has a characteristic feature to memorize the energy. With this knowledge, we can embed a specific type of energy (health promoting frequency) into that matter. Advanced, state of the art technology is required for embedding this energy into matter. This technology, as already mentioned, is derived from the principle of Quantum Theory. The use of Scalar Energy products like CellQuicken, will neutralize the negative energy in our body that is causing disease. Scalar Energy is more field-like than wave-like and it tends to fill the environment. It can pass through solid objects with no loss of intensity. The Scalar Energy, once embedded into an object, will remain in the object indefinitely and can regenerate and repair itself indefinitely – that’s under ideal conditions which seldom exist in our modern day life style where we are exposed to many types of lower frequencies. The effect of Scalar Energy is cumulative; it gets stronger with time; again, under ideal conditions. Scalar Energy can imprint itself on human DNA. Eliminate and nullify the effects of man-made frequencies (- 60 cps) in the human body. Increases cell energy level to 70-90 mini-volts, relieves fatigue, tiredness and rigidity. Protects cellular DNA from damage by increasing energy of hydrogen bonds that hold DNA together. Facilitates nutrient absorption with improved cell wall permeability. Speeds up body’s detoxification process. Cleanses and improves blood profile. Improves mental focus and mental clarity. Increases the energy covalent level of every single hydrogen atom in the body as verified by spectrographs. This is significant because covalent hydrogen bonds, is what holds your DNA together. 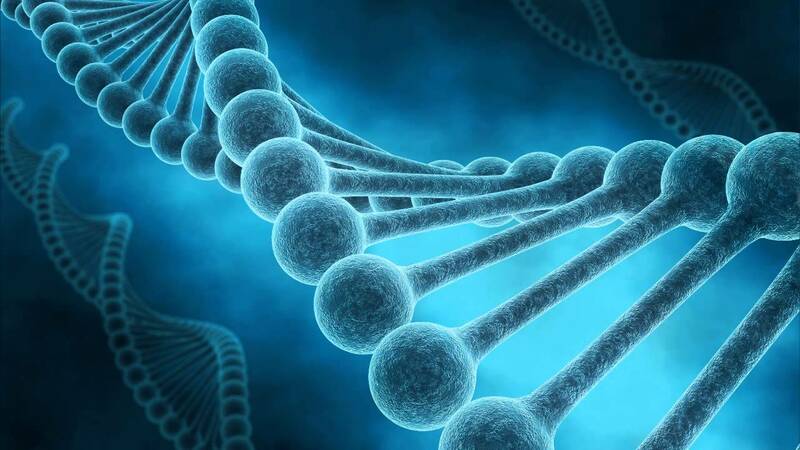 In other words, scalar energy treatment protects your DNA from damage. Eliminates waste from each cell. Increases overall body energy levels because of increasing cellular energy for trillions of cells. Cleanses the blood, improving chylomicron levels (protein / fat particles floating in the blood) and triglyceride profiles and fibrin patterns. Improves immune function as proven in laboratory studies. Works as an antidepressant since it inhibits the uptake of noradrenalin by PC 12 nerve cells. Prevents and reverses cancer cell growth. Yes, that’s right; as if all the benefits we’ve listed so far were not enough, even the regular intake of scalar enhanced products may very well play a significant role in preventing and/or reversing cancer and other dreaded diseases. If you raise cell voltage (which is exactly what can happen when you consume scalar enhanced products or are exposed to the frequency directly), the cell no longer needs to proliferate wildly. In effect, it can become “normal” again. The implications for this in treating cancer is profound. Muscular Stiffness and most other symptoms you could imagine. Which frequencies do they embed? First, is the Schuman Resonance. This is in the 7.8 – 8 HZ range. It is the frequency the earth emits when there is nothing around – nothing manmade and no plant or animal life around. It is the innate frequency of the earth. The other frequency is closer to 12 HZ. This is the frequency that you will record in a rainforest – again with nothing manmade around. These are the core scalar frequencies that accomplish everything we’ve talked about in this article. Several years ago, Jon Barron, discovered and developed the Barron Effect, which incorporates the principle of energy enhancement to modify the physical structure of herbs during the tincture manufacturing process. The net result is herbal tinctures that are over 100% stronger than anything the world has previously seen. Over the past few years he has been closely monitoring the work of several research groups (including ex NASA engineers) who have developed technologies based on similar principles of physics that allow for the embedding of scalar energy fields in nutritional products at meaningful levels. Enter your body faster and work better than comparable unenhanced products. Enhanced products work to charge every single cell of your body with health promoting scalar waves. The more enhanced products you use and the more often you use them, the more profound the effect. The effect is cumulative. The CellQuicken is the most enhanced and advanced scalar energy frequency generator available at this moment. It is developed and manufactured in Pretoria in South Africa.